How: Send an e-mail with your screenshot(s) to arcanewordsmith@gmail.com or post your entry here, Effy’s RP, or Tome of the Ancient. I’m honestly afraid to look at the entries on Friday because of how the contestants raised the bar this round. But, I’m excited to see what comes of it at the same time as when we get together again next week we’ll be down to the top ten! Good luck once again everyone, and just like previous rounds feel free to use programs like MogIt, wowhead, and WoWModelViewer to submit your entries. 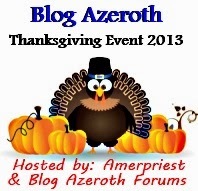 ← Mog Madness: Round Two Results! 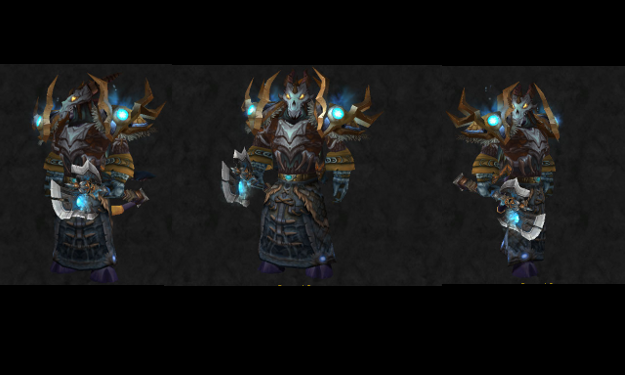 I will have you know I’m transfering my 85 shaman from my old server to my new one SIMPLY to do this transmog stuff. So, this may sound stupid but does it have to be the exact Wavemender’s Mantle or can it be the tier piece? No, it needs to be the Wavemender as (to the best of my knowledge) it’s the only one with that skin color. Here’s my entry for Round 3. I’m looking forward to seeing what everyone else comes up with! Sincere apologies, but I’m just not going to be able to get my entry in this time. I am drowning in work, family, holidays, life and the pressure to be good enough is getting to me. I hope you can give my spot to one of the previous entrants. I’m really, really sorry. Very happy to have it entered this early, gives me less time to worry that I made the wrong choices. Finally posted my entry! Sorry for keeping you waiting — it’s been finished for two days, but then I got busy and had no time to blog!